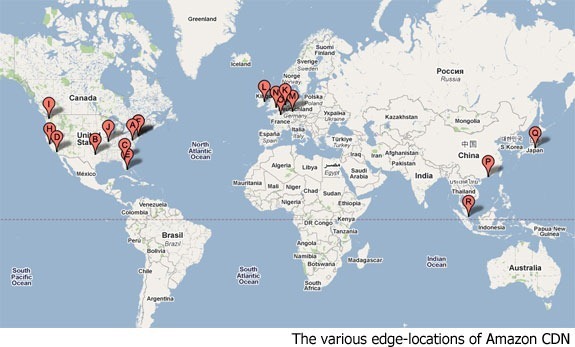 With Advanced IP Scanner, you can scan hundreds of IP addresses simultaneously at high speed. The software scans ports of network computers and finds HTTP, HTTPS, FTP and shared folders. Scan your network (including Wi-Fi network) to get more information about all connected devices including computers' names and MAC-addresses. This shuts down any remote machine or group of machines running a Windows operating system. You can use your default access rights or specify a login and password for shutdown. This feature is very handy for system administrators since it enables all computers in a customized list to be turned off in a single operation at the end of the working day. You can wake any machine or group of machines remotely using Advanced IP Scanner if the machines' network cards support the "Wake-On-LAN" feature. Advanced IP Scanner has a simple, user-friendly interface. For simpler batch operations, it lets you save a list of computers to be scanned in a Favorites list. 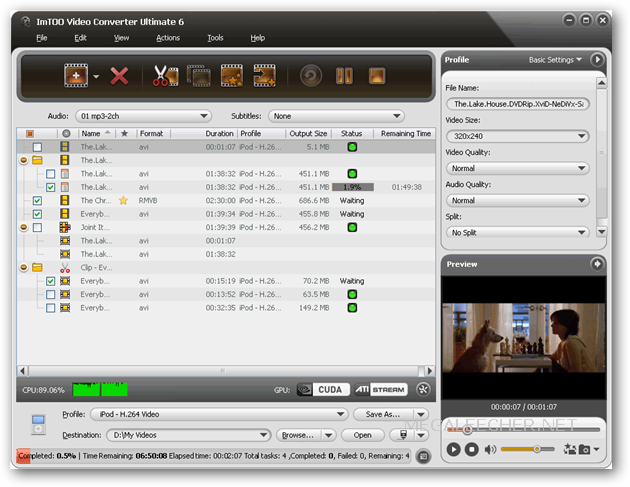 Advanced IP Scanner will automatically load your Favorites at startup. You then can choose whether to scan your entire network or just the computers in the Favorites list. The great Metro user interface windows 8 is awesome but its irritating people who really want to use desktop feature in windows 8. the Microsoft failed to give that feature to switch to desktop but the Stardock Start 8 give you that feature accurately recreated the most used desktop feature billions of users depend on every day and packed it with additional functionality. 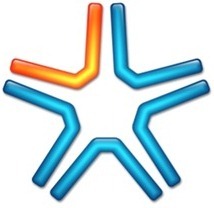 Latest update version Stardock Start8 v1.1 for Windows 8 from EMBRACE. The app that can Bring back the Windows ”Start” menu with Start8! Before using Google DNS or OpenDNS on your Computer, Read this! Public DNS services like OpenDNS or Google DNS may offer more faster lookups than your ISP DNS server of your ISP but in some cases, you may get much better download speeds if you use your ISP settings. Public DNS services, like OpenDNS or Google DNS, may offer more reliable and faster lookups than the DNS server of your ISP but in some cases, you may get much better download speeds if you continue to stick to your ISP’s DNS server. trials.adobe.com. 687   IN      CNAME   trials.adobe.com.edgesuite.net. When I asked OpenDNS about this issue, their representative told me that it is something ‘fixable’ and that they’re working on a solution where the DNS Server itself passes on the client’s location to the CDN. The Android operating system integrates well with all of your Google’s services including Gmail, Drive and even Picasa. By default, Google will sync your Picasa Web Albums to your Android device’s Gallery app. 2. Select your Google account, then tap on your Google account name to change your sync settings. 3. Scroll down to the bottom and uncheck the Sync Picasa Web albums option. 4.G o back into Settings > Application Manager or Apps or Applications. This will depend on your Android configuration and version. 6. Scroll down and find Gallery and select it. 7. Tap on both the Clear Data and Clear Cache options. This will reset the cache and also clear the previously synced Picasa web albums from the Gallery app. 8. Go back to your Gallery app. You will notice that just your local photos and videos are listed. 9. If you Dropbox or Facebook media appears in the Gallery application, you can also do the same thing with your Facebook or Dropbox accounts. Go into your Facebook/Dropbox account in Settings > Accounts and then uncheck the appropriate sync photos options. Once you do that, you will again need to clear the cache and data on the Gallery app via steps 4-7 again. 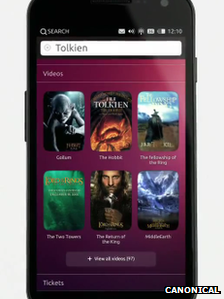 he Ubuntu operating system has been adapted to run on smartphones. The Linux-based software will allow users to run desktop apps on their handsets, allowing them to double for PCs when docked to monitors. 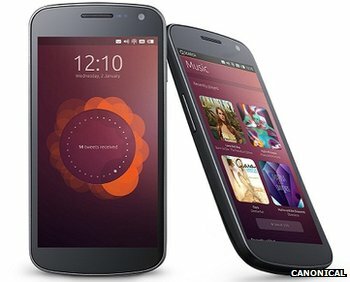 The code will initially be released as a file which can be installed on Samsung's Galaxy Nexus phone, replacing Android. Some analysts question whether consumers really want the power of a fully fledged computer on their phone. Even so, Ubuntu's founder, Mark Shuttleworth, said he was in talks with manufacturers for devices to be sold with the system pre-installed within the year. While he acknowledged the innovation would likely be limited to "enthusiasts and hobbyists" at first, he said it signalled a wider shift on the horizon. "It's quite incredible that we're at this point when the power of the phone is crossing over that with baseline processing power of basic laptops," Mr Shuttleworth told the BBC. 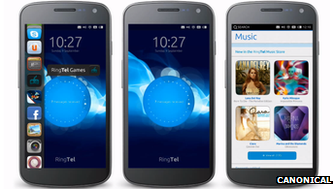 Phones running the software will be showcased at the Consumer Electronics Show (CES) in Las Vegas next week. Ubuntu is the most popular operating system to be based on the Linux kernel - the code that lets software and hardware work together. The London-based firm behind it, Canonical, offers it for download free of charge and has been helped by thousands of volunteers who contribute to the open source project. The firm makes money back by offering support and training and also plans to take a share of sales from online marketplaces offered by handset makers who adopt its software. It estimates that more than 20 million PCs already use it. In many cases these are older machines which benefit from the fact it is less demanding on computer power than Windows - and is virus-free. The new version has been designed to work on last and current-generation Android handsets which share the Linux kernel. This means Ubuntu can re-use existing software drivers to control the hardware. There are already 45,000 native apps for the system - albeit with several notable omissions such as Adobe's Photoshop and the Office suite, although alternatives do exist. Developers will be urged to adapt their apps' interfaces to look different when running on a phone's screen while offering the same core functionality. To offer touch-based controls Ubuntu has adopted the same QML (Qt modelling language) framework being utilised by the upcoming Blackberry 10 operating system. Mr Shuttleworth suggested this meant many app makers would be familiar with the technology. In addition Ubuntu can run web apps written in the widely-adopted HTML5 language. When running on phones Ubuntu can be controlled by the "head-up display" (Hud) option it introduced last year. This allows users to type or say what command they want a program to carry out rather than having to click through menus. "The Hud was born out of the phone design process," revealed Mr Shuttleworth. "The key question we were asking is how do we allow developers to express some of the deeper richer functionality that you get typically in a desktop application when they write for a phone. "Typically phone and tablet applications are streamlined slimmed-down versions of stuff that might have existed in a more sophisticated complicated form on the PC. "And in our world where all of the functionality is there... you can invoke the Hud on the phone and talk to it with voice recognition instead of typing in your command - so you could say [for instance] you want a photo in a 1930s style - and our R&D effort is to make that natural." A version of the code will shortly be made available to developers to start adapting their apps. The firm then plans to release a file for Galaxy Nexus phones by February, and later for other handsets and ultimately tablet computers as well. In Windows 8, when you shutdown your computer, you actually are performing a hybrid shutdown by default. What’s a hybrid shutdown? As you probably have heard, Windows 8 boots up a lot faster than Windows 7 and previous versions of Windows. This is because of the way it shuts down. Instead of performing a cold boot in which everything has to be loaded, i.e. the OS kernel, the apps, etc, Windows 8 performs a partial hibernation in which the Kernel session and device drivers are saved to disk. When you startup Windows 8, it loads up from that hibernation file, which makes boot time much faster. In previous versions of Windows, the hibernation file was much larger because in addition to the kernel and device drivers, all application data was also stored in the file. Now that the file is smaller, the load times are better. This featured is called Fast Startup in Windows 8 and it is enabled by default. You can check this by going to Power Options in Control Panel and clicking on Choose what the power button does in the left pane. Now when you go to Power Options, you should see the box is visible and checked. So how to perform a full complete shutdown in Windows 8? There are three ways. 2. You can simply perform a restart instead of a shutdown. As odd as it may seem, restarting Windows 8 will first perform a complete shutdown followed by a cold boot. So those are the different ways you can perform a full shutdown of Windows 8, which comes in handy if you recently installed a new piece of hardware, etc. Enjoy! If you decide to install the Jelly Bean based RocketROM, then all the Android 4.1 features will be flashed and updated on your Galaxy Note. Furthermore your smartphone will receive some extra features too, the firmware being developed by third party devs meaning that you will get a custom software and not a stock, or default one. As mentioned, there are some bugs and issues on this ROM, the Samsung keyboard and Face Unlock features being the only things that aren’t working until now. Don’t worry though, as the problems will be resolved as soon as a new version of the RocketROM platform will be released for your Note N7000. If you prefer the stock and leaked OS instead of this custom ROM, then I recommend you to use our previous step by step guide and learn how to update the Samsung Galaxy Note to official Android 4.1.2 Jelly Bean XXLSA, or why not just wait for the OTA update to be provided by Samsung. But if you do decide that the Jelly Bean based RocketROM is what you need for your phablet, then you should resume the next lines and apply the pre requisites because first of all you will have to prepare your phone for the installation procedure that will follow. I have mentioned the pre requisites during the following list, so don’t skip this section as it is the most relevant one. This is a custom ROM and not an official Jelly Bean update released by Samsung for your Note N7000. By completing this guide you will void the warranty of your device. Considering the above aspect, you must first backup the Galaxy Note data. You should start by saving the contacts, messages, call logs, EFS and end with the current ROM. In this way, if something wrong will happen you can easily restore and use the stock ROM again. Also, a wipe will be required so the backup is not an option for you. After taking care of your personal info it’s time to complete more complex operations. The first to start with is the root one. You must root your Note if you want to update it with the Android 4.1 Jelly Bean powered RocketROM firmware. The ROM needs to access some internal files from your phablet and the only way for enabling that is by rooting the system. Again, the warranty will get void so be careful in what you do. The only way available for restoring the warranty is by downgrading or installing the stock Android OS. A custom recovery image must be installed on your Note as this tool will be used for the flashing operation. So download CWM recovery for your handset. Take note that this app will work only on a rooted system. 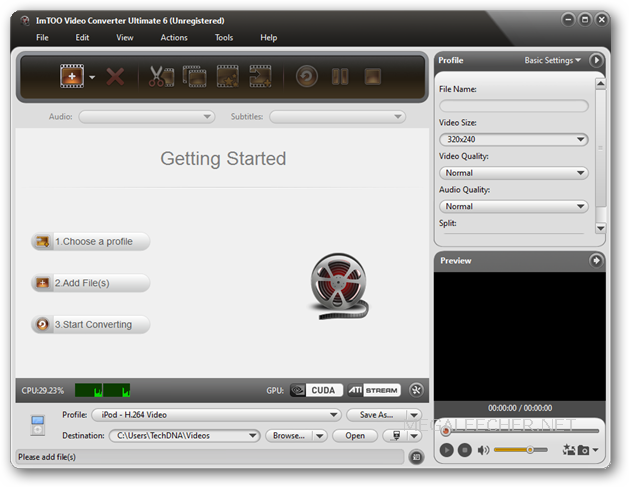 For being able to perform this tutorial you must have access to a Windows running computer. On your computer and on your smartphone there shouldn’t be installed any security programs so before starting the proper step by step guide uninstall or deactivate the antivirus and Firewall protection. Also, charge the battery of your device if there is less than 60% power left. Apply the next steps only if you own the Samsung Galaxy Note N7000. The Jelly Bean based RocketROM v2 will work only for the mentioned device; if you try to update another handset with the same software you will risk in bricking your smartphone / tablet. Download the custom ROM firmware from here. Download the Keyboard fix package from here in order to remove the above explained bug. Save the files on your computer first. Then, connect the device with the PC and copy the files to your phone’s SD card. Unplug the USB cord and turn off the handset. You must reboot it in recovery mode, from where you will install the update and the bug-fix package. For recovery mode press and hold down the Volume Up, Home, and Power buttons together. Now, from the menu that will be displayed first of all choose: “wipe data factory reset” and “wipe cache partition”. Return to the main menu: “+++go back+++”. And then select “install zip from sd card” and “choose zip from sd card”. Pick the update file first and install the same. Then, do similar for flashing the Keyboard fix package. The installation procedure will take a couple of minutes. In the end select “+++go back+++” and “reboot system now” and you are done. That was all; you now know which is the easiest way that can be applied if you want to update your Samsung Galaxy Note N7000 with the Android 4.1 Jelly Bean based RocketROM custom ROM firmware. Run the software and then return here and share your impressions with us and with other users. Also, check our daily posts as we will bring more suitable guides for your Note during the next few days. Here is my One Click Root and UnRoot solution for ALL SAMSUNG Devices. It has a very nice interface and offers options to reboot your device Normally, Into Download Mode or Into Recovery Mode after Rooting. Note: Make sure you Enable USB Debugging and Flash an Insecure Kernel before using Samsung Quick Root. 1. Improved: Error checking is much better with improved detection of null string entries. 2. Improved: Changed the code in the Wait For Device Dialog and improved error detection. 3. Fixed: A few bugs in the Function that writes output to the Log Window. 4. Improved: Made a few minor changes to the ADB Communication Framework. 5. Fixed: Kernel Info no longer relies on Busybox to gather the version information. 1. Improved: Fixed a few bugs and added some new functions to the ADB Communication Framework. 2. Added: Wait For Device Dialog on application startup. 3. Changed: Added formatting to the Device Info display to make the information easier to read. 4. Fixed: A bug in the Device Info function that caused missing information or failure to display correctly in certain scenarios. 5. Optimized: Made a few changes to the code that handles removal of the 'su' and 'busybox' binaries so it runs a bit quicker. 6. Other minor bugfixes and UI improvements have also been made. 1. Changed: Rebuilt using my ADB Communication Framework which eliminates lockups, is more reliable, stable and much quicker. 2. Added: Automatic detection of the '/system' Mount Point to potentially support other devices in the future. 3. Removed: Kernel Info button as this function was implemented elsewhere. 4. Added: Device Info button containing a more detailed view of Device, ROM and BusyBox information. 5. Optimized: Removal of su binary during 'UnRoot' is more efficient and will search and remove from: '/sbin', '/system/bin' and '/system/xbin'. 6. Optimized: Code for removing BusyBox and its symlinks during 'UnRoot' is now alot more efficient and will search and remove from: '/sbin', '/system/bin' and '/system/xbin'. 8. Updated SuperSU and its binary to v0.93 and BusyBox binary to v1.20.2. 9. Other minor bugfixes and improvements have also been made. 1. Changed: Tidied up User Interface and added additional reboot options which can be executed independantly of rooting. 2. Fixed: A bug in the UnRoot code that did not perform the UnRoot process after clicking Yes on the Temp Root Message Dialog. 3. Optimized: Code for removing BusyBox symlinks after removing BusyBox is now alot more efficient. 4. Added: S2 Root will now remove BusyBox and its symlinks from the '/sbin' aswell as '/system/xbin' folder if present allowing for clean up from other root methods. 1. Added: Device Manufacturer, Model and ROM Build information displayed in log when S2 Root starts. 2. Changed: Log font is now bigger and clearer. 3. Changed: Restrictions have been relaxed regarding device detection. S2 Root will now work with ALL SAMSUNG Android devices. 4. Added: A prompt on UnRooting. If TEMP ROOT is detected you now have the option to continue anyway allowing for people who Rooted with CF-ROOT as its based on an Insecure Kernel. 1. Fixed: A bug for some locales which caused S2 Root to report No Temp Root Access even though an Insecure Kernel had been flashed. 1. Fixed: A couple of bugs when UnRooting which caused Rooting the device again to fail. 2. Optimized: When UnRooting, BusyBox Symlinks are also removed leaving the xbin folder clean of all BusyBox traces. 3. Updated: Package now includes the latest Superuser v3.0, su binary v3.0 and BusyBox 1.19.2. 1. Fixed: A couple of bugs in the Device detection routine. 2. Added: 'Tools' options to: Clear Dalvik Cache, Clear Battery Stats, Get Kernel Info from the device and Reboot the device. 3. Updated the guide in this first forum post. 1. Fixed: A bug where Rooting would not work first time. This has now been fully tested and works first time every time! 1. Fixed: A bug where Rooting would not work first time. Before you had to click 'Root Device' a second time for Superuser apk to install. 2. Fixed: A few bugs in the source code have been rectified. 3. Updated: 'su' Binary and 'Superuser' APK to latest versions. 1. Fixed: S2 Root should now detect ALL Galaxy S II (GT-I9100) country variant devices correctly. 1. Added: 'Jump To Download Mode' Button for those that cant use the 3 Button Combo or dont have a Jig to put the device into Download Mode. 2. Added: 'Don't Reboot Device When Finished' option for those that want to carry on tinkering after Rooting / UnRooting. I am new to this! So how do I Root my device? Note: Make sure you download and install Samsung Kies before performing any of the steps below to ensure everything goes smoothly! Goto Settings > Developer options and Enable USB Debugging on your device. Reboot your device into Download Mode. (With Device OFF, Hold Vol Down + Home + Power) If done correctly your device should have a big Yellow Triangle in the middle of the screen with the words 'Downloading... Do not turn off target' underneath. (Or Select 'Download Mode' then press 'Execute' in Samsung Quick Root). Connect your device to your PC and start Odin. If you installed Samsung Kies correctly, you should see the box in the top left corner of Odin underneath where it says ID:COM should be Yellow and displaying the name of a Com Port your device is connected to. Check Odin's settings, Only the Auto Reboot and F. Reset Time checkboxes should be selected. Now press the Start button and wait for your device to reboot. If you have done everything correctly, you will notice a Yellow Triangle with an exclamation mark on the boot screen when the device is starting up. This indicates you are running an Insecure Kernel with Temp Root priviledges. When the device has finished booting, start Samsung Quick Root then press the Root Device button. Wait for the device to reboot depending on which Reboot option you selected then you are done Rooting. This is an OPTIONAL step but you can perform Steps 4 to 8 in this guide to flash the Original Kernel back to your device to remove the Yellow Triangle on the boot screen whilst still retaining Root Permissions. Incase you are in Windows 7 / 8 you should have the ownership on the host file. PLEASE READ "hg42's" THREAD so you can fully understand how to safely "isolate" the bad sector/blocks and unbrick your device. My friend has an N7000 16GB, she flashed a lot of custom rom's on the phone and then she realised she has about 5 gb of internal storage , i told her to format and flash an official rom. That's what bricked the phone, i've took the phone and started reading the forum and this is what i did. - START>END stopped at 2184 MB , END>START stopped at 4265 so the bad blocks ar from 2184 to 4265 . - then i got the modified PIT in my chase (N7000_16GB_Q1_20110914--patched--brick-between-01174-and-04395-MB--DATAFS-moved-by-03072-MiB) from hg42's THREAD and flashed it via odin and an official firmware (N7000_XXKL8) everything worked flawless. ALL OF THIS THANKS TO "hg42" !!! Source copied from Public for Awareness. Not even wiping in stock recovery is safe with affected kernels. Almost all ICS kernels for the GT-N7000 are affected. Only two are currently known to be safe - see the list below. These kernels are fundamentally dangerous. Samsung introduced some sort of bug in the eMMC driver that can permanently damage the eMMC flash storage of the phone. This leads to unusable partitions at best, and at worst a hardbricked device. The nature of the failure is so severe that the usual method for hardbrick recovery (JTAG) is unable to recover devices damaged in this manner. The issue is not limited to just Clockworkmod Recovery - Stock recovery, along with factory resetting a device from Settings, is just as dangerous. All ICS official releases for the Samsung Galaxy Note (GT-N7000) as of late May 2012 - This includes XXLPY, ZSLPF, and DXLP9, and future kernels should be assumed affected until further notice. Not all users hardbrick - some wind up with /system, /data, or another partition becoming unwriteable, which leads to an effectively useless phone even though they are able to flash kernels in Odin. STOP USING IT IMMEDIATELY. FLASH A SAFE KERNEL USING ODIN/HEIMDALL. Some people can wipe with affected kernels as often as they want without problems. Just because you didn't brick, DO NOT advise other users that they will be OK.
How to determine if a future kernel or source release is safe without putting user's devices at risk - You only need to reproduce the problem once to be hosed. http://forum.xda-developers.com/show...&postcount=159 - Information indicating that our eMMC chip has a serious firmware bug. All of the issues with fwrev 0x19 match our symptoms PERFECTLY. It explains partially why I9100 update4 is safe - MMC_CAP_ERASE is not enabled in the I9100 update4 MMC driver. The question is: Why isn't Gingerbread affected despite also having the MMC_CAP_ERASE flag set? The file “myfile” is too large for the destination file system. My pen drive had formatted in FAT32 format. The max file size for FAT32 is 4GB. The max file size for FAT16 is only 2GB! Note that “c” is the drive letter so make sure to change it to the drive that you want to convert – otherwise you will be converting your drive “c”. Include the /v option to run in “verbose” mode, which provides more information as it does its job. Type convert /? for other, more advanced options. 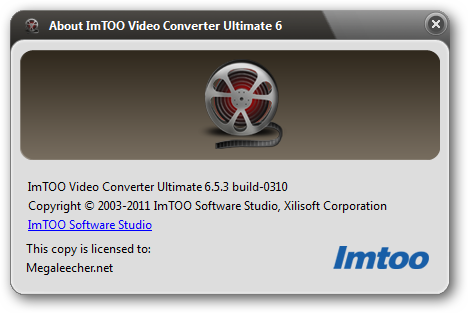 Note that this is a one-way conversion, at least when using the software included with Windows Vista. If you need to convert an NTFS drive to FAT32 for some reason, you’ll need a third-party utility such as Disk Director, (http://www.acronis.com/). Step 1: Download SuperSU.zip and transfer it to the root of your Micro SD Card. Step 2: Press Up Volume + Power + Home and hold till the phone reboots and you see Samsung Galaxy Note displayed on screen, at which point you can let the keys go. Step 3: Now you should be in Android system recovery, select “apply update from external storage” (as shown in the image to the right) and select SuperSU.zip that we transferred earlier. Step 5:. 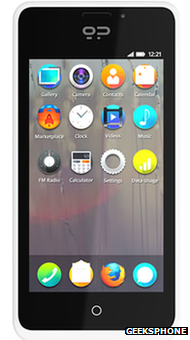 Get Mobile ODIN Pro from the PlayStore or alternatively Mobile ODIN Lite from XDA. Step 6: Download the SpeedMod Kernel and transfer it to the Internal/External Sd. Step 7: Open Mobile ODIN and get through the initial screens (Grant Access, Let it Download any files if needed) and then click Kernel and navigate to wherever you have saved SpeedMod Kernel and select it and hit Flash Firmware. We now have FULL ROOT with A SAFE Custom Recovery for the Galaxy Note!!! Microsoft has released its brand new Operating System Windows 8 for general public worldwide and mostly people have already switched to Windows 8 from old Windows operating system i.e. 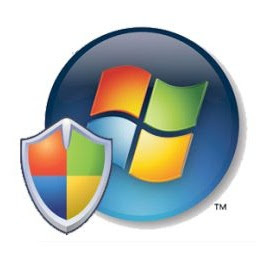 Windows XP, Windows Vista and Windows 7. If you're lucky one too who have finally installed and using Genuine Windows 8 on Desktop Computers and Laptop devices than you would be pleased to know that now you won't have to worry about your Genuine Windows 8 Activation Key if you have recently purchased it from Microsoft. Windows 8 Activation is the vital thing for most of Windows users because it provides Genuine Retail Keygen of Windows8 which helps them to use Windows 8 permanently for a lifetime. In today post we are going to share How to take Backup, Save and Restore Windows 8 Activation Genuine Key After Re-installation of Windows 8 due to any incident or worst scenario. This method will helps Windows 8 users to Take Backup of Windows 8 Activation and Restore it again after Windows 8 Installation. Following method is applicable for all Windows 8 Editions including Windows 8, Windows 8 Pro,Windows 8 Enterprise or Windows 8 RT under 32-bit (x86) or 64-bit (x64). Most of time users faced virus attack and windows file corrupt issues and problems due to which they re-install windows for better performance and improvement but after re-installation of Windows they lost their Genuine Windows Activation and then they have to Re-Activate Windows with Genuine Keygen which sometime doesn't work well for most of Desktop Computers and Laptop users so it’s quite helpful to takeBackup of Windows Activation so that you can re-implement that restoration for activation of Windows. So if you're Windows 8 user and wondering of Windows 8 Genuine Activation Key than you won't have to worry anymore because you can follow the following simple steps and Guidelines to Backup, Save and RestoreWindows 8 Activation Genuine Key After Re-installation. Restoration of Windows8 Activation will help you to not further remember or implement the GenuineActivation Key of Windows 8 in future. So let’s follow the following Steps and Guidelines to Backup and Restore Windows 8 Activation after Re-installation of Windows. Following method will 100% works for any Windows 8 Editions including Windows 8, Windows 8 Pro, Windows 8 Enterprise or Windows 8 RT, you can easilyBackup, Save and Restore Windows 8 Activation Genuine Key of Windows 8,Windows 8 Pro, Windows 8 Enterprise or Windows 8 RT under 32-bit (x86) or 64-bit (x64) versions After Re-installation. Users should remember that any changes in machine’s Hardware and Software are not allowed whatsoever. Users can't activate one edition of Windows 8 thinking you can use the backup for another edition later. The activation is only applicable to your specific hardware and OS edition. Users first have to re-install windows and then install their drivers first and thenapply restoration method of Windows 8 Activation. You must install drivers before the restoration of Windows 8 Activation Genuine Key. If you want to check the status of Windows 8 Activation before and after, than you can use Volume Activation Management Tool 2.0 from Microsoft available here. Users have to follow the following method carefully for the successful implementation of tutorial. Follow the following simple steps and guidelines to Backup, Save andRestore Windows 8 Activation after Re-installation. Step 1: Go to C:\Windows\System32\spp\ and backup the Store folder as this turned out to be the only folder you need to make backup of. Step 8: When restarted you can see that the watermarks are gone and by checking the usual slmgr -dli/dlv/xpr commands in Command Prompt you'll see that it worked and you're activated + by checking the Volume Activation Management Tool 2.0you'll see License Status: License renewed and Genuine Status: Genuine.Congratulations!! Your Windows 8 copy is now Activated with Genuine Activation Key and you have successfully completed the restoration method. Enjoy!